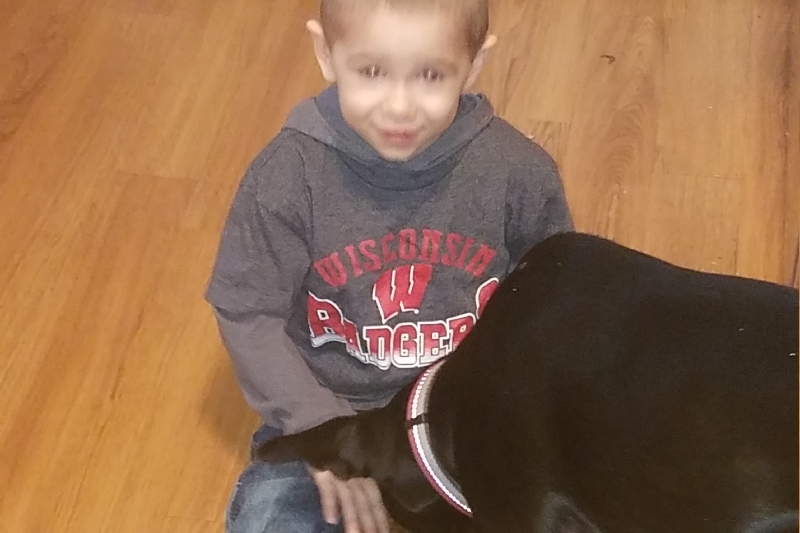 Nathaniel's Story: His life began February 28, 2015. We thought everything was fine and we took our son home 2 days later. Then about 2 weeks later our son's health started to change dramatically. My son's first 12 months of life consisted of pooping problems, blood curdling screams, arching his back to the point of looking like he could snap himself in half, he never could handle age appropriate volume, would choke or gag on formula or baby food, he had 3 back to back ear infections, and he had ear tubes surgery. Unfortunately this wasn't the end of my son's suffering. Then in March 2016 my son was referred to a GI specialist at American family children's hospital in Madison. Then a few weeks later my son had to have his first bowel clean out and his first nasal gastric tube placed because he was refusing to drink or eat. After he was cleaned out, we took him home things were going good for the first two days and then he started to deteriorate again, not drinking or eating. So we took him to the GI doctor two days later. While at the clinic they weighed my son who had lost 3 lbs. and was failing to thrive. The doctor decided to inpatient him. Nathaniel was hospitalized for 15 days. 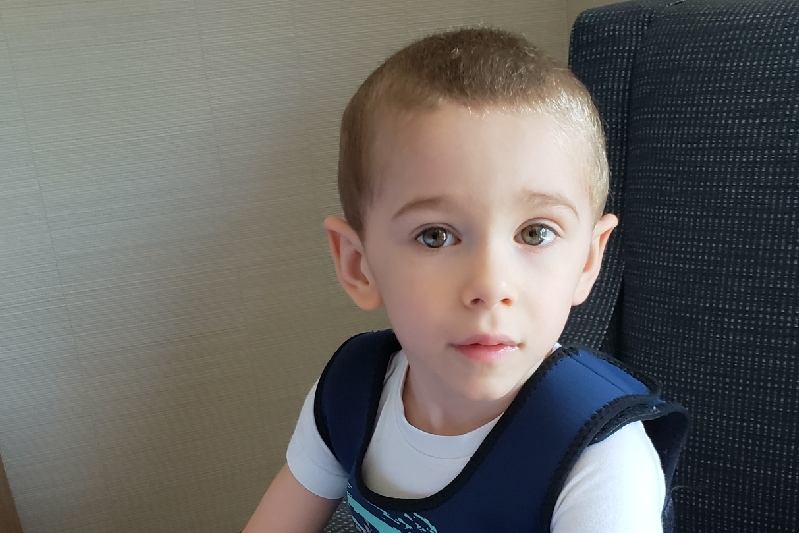 While in the hospital they found out he can't swallow safely, he needed a NG- tube and he had Chari malformation that was compressing on his brain stem and spine. My son was having a lot of problems with his NG tube, so on June 1, 2016 Nathaniel had a G-tube surgically placed. 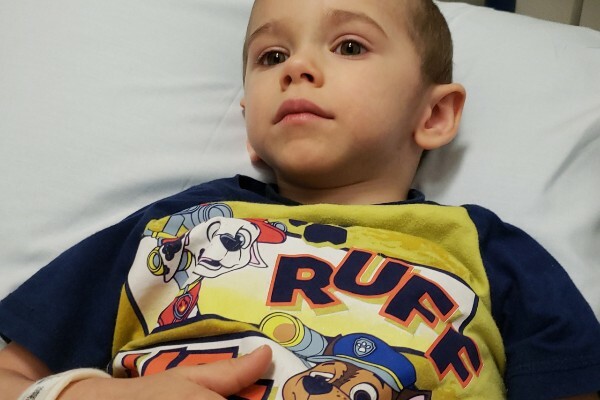 We tried to introduce honey thick formula and mash potato consistency food but my son continued to have reoccurring upper respiratory infections, pneumonias, which have him needing a nebulizer for breathing issues. This was due to my son constantly throwing up his G-tube feeds. My son has had over 70 doctor's appointments in the last 8 months and he has 8+specialists and he has 4 therapists. My son has been put to sleep 7+ times, 3 surgeries and numerous other tests. Nathaniel is scheduled for decompression surgery on February 10, 2017 (Neurosurgery). There is no cure for chairi malformation. This surgery will only slow the progression of his condition and may or not relieve his symptoms. The are no guarantees to this surgery will help my son. My son is scheduled to see an oncologist at the end of January 2017 to hopefully rule out liver cancer and we are waiting for Neuro Genetics to get a few genetic test approved by insurance to see if my son has a rare Ataxia condition. My poor little man is only a little over 22 months old is G- tube dependent and has gone through so much since he came into this world and continues too! 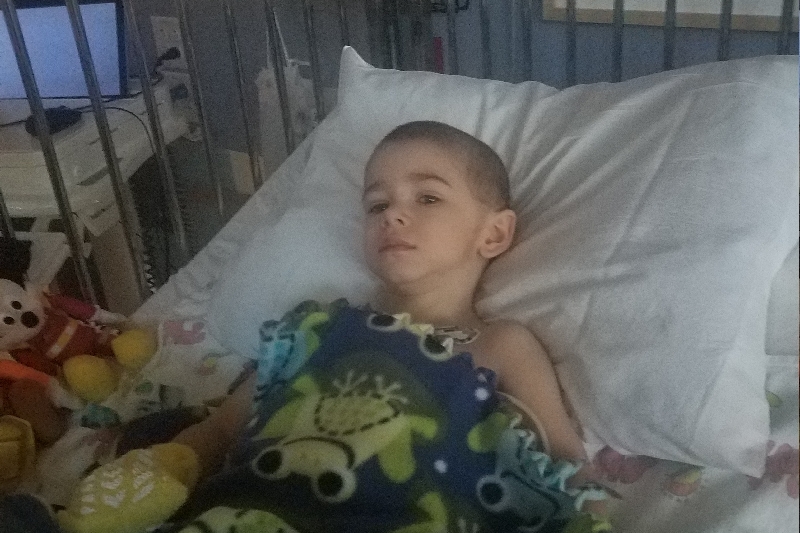 Current Updated: Nathaniel is now a little over 3 year old and continues to show us how medical complex he really is. Nathaniel has G-J tube now because he was vomitting way too much and was not gaining weight. At the end of August of 2017 Nathaniel and I when to the Mayo clinic in Minnesota. While he was there the doctor diagnosis with Obstructive Sleep Apnea and also found a laryngotrachel cleft in his airway. 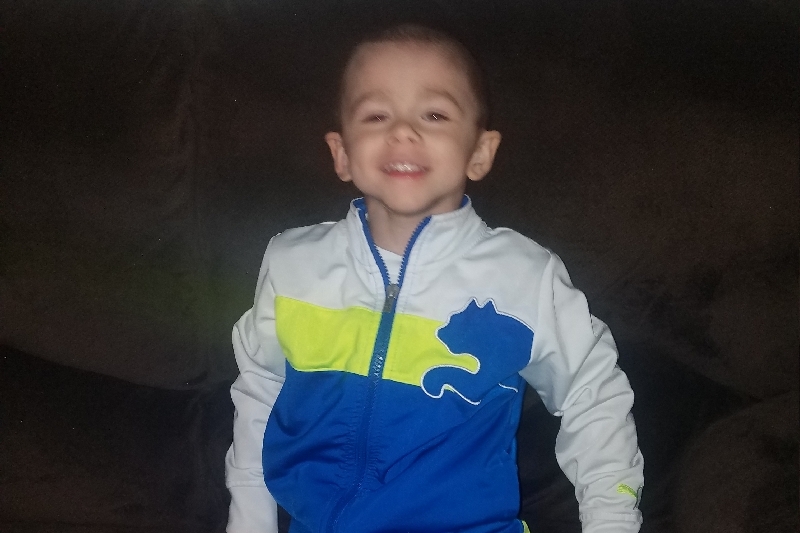 Shortly after we return from our trip, i recieved an life changing email letting me know that Nathaniel was accepted into the rare and undiagnosis diease network at the Boston Children's Hospital. A few months later the team from boston decided that they wanted to do Whole exome Sequencing test before have us come. Then in January of 2018 Nathaniel had surgery to remove his tonsils and adenoids and repair the cleft in his airway. The surgery fix his obstructive sleep apnea but unfortunately this surgery didn't fix his dysphagia and is still aspirating. 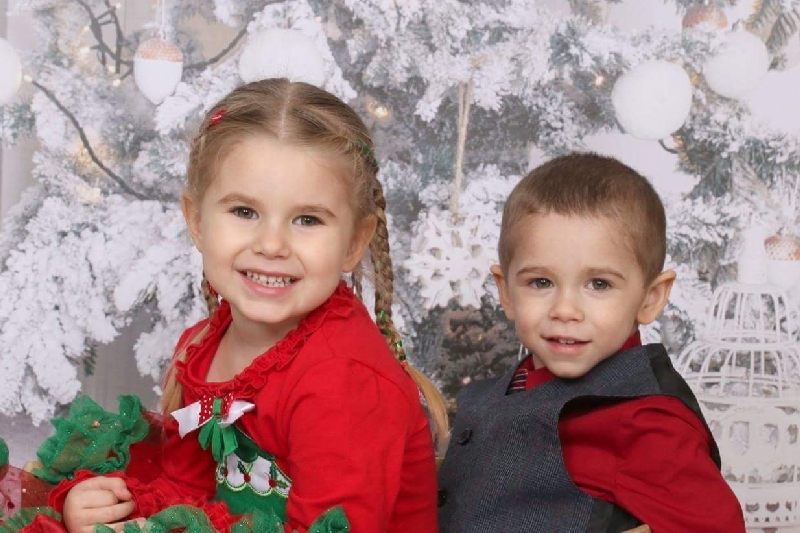 Finally we recieved a call towards the end of March 2018 from the genetic doctor in Boston letting us know that the were ready for us to come to their Children's Hospital. So on May 19, 2018 we left for Boston. While we were in Boston we found out that Nathaniel may have a genetic condition that hasn't even been discovered yet and that their are only 3 children in the entire world that have this Multifunctional DNA Repairing Enzyme Called APEX1 but so far 2 of the children do not match Nathaniel clinical symptoms or profile. This mean my son could have his condition named after him. Nathaniel was also diagnosis with a Severe case of ADHD, Developmental coordination Disorder and comfired his Autism diagnosis. My husband and I had used to struggled to keep stable employment due to all of my son's complex medical issues. We start to get on our feet a little bit and then my son gets sick or has appointments. First I take off and then I get told by my employer I can't take off anymore so then my husband takes off. Then my husband ends up losing his job and the cycle repeats and we become homeless. My husband curruntly has a stable now and has been for the last year and a half. As Nathaniel's mom I am unable to work due to taking care of my son full-time. We are looking to raise $10,000 dollars for living expenses and other medical necessities not cover by insurance. Please share Nathaniel story with all your friends and family. Thank you for helping support our son through the Nay-Nay Fund. Here some current pictures of Nathaniel. We are waiting to confirm that he has does have APEX1 gene. Plus we are waiting also for his immune system and liver function results. I have seen his some of his lab results and they do not look good. I will update everyone as soon as get the final results. Thank you for supporting the Nay Nay Fund! Please Come Celebrate Nathaniel's 3rd birthday Here is a link to his party details. If you are unable to attend you send birthday cards to 639 N Main St Apt B Lake Mills WI 53551. Nathaniel has been sick since the beginning of October with respiratory illness after respiratory illness. This has unfortunately caused him to not tolerate his feeds which means he's losing weight and is not maintaining his weight. I talked to Nathaniel's GI doctor and she told me that Nathaniel is going to need a different kind of feeding tube. Instead of the G-tube he is going to have a j G-tube. This means he will have to be connected 24 hours a day and will be fed into his small intestines instead of the stomach. The doctor believe this will stop him from vomiting his feeds and will help him to gain weight and maintain it. Nathaniel will be going in tomorrow at 3 to have this placed in Radiology and every three months he will have to come back to radiology and have a new tube replaced plus we have to watch out for small bowel obstruction, dislodging of tube and if he vomits means the tube is not placed properly which means a trip to the hospital. Nathaniel was also diagnosed with obstructive sleep apnea and we'll be having surgery January 12th to remove tonsils and adenoids and to fix a cleft in his Airway. We are going to be getting the whole exome sequencing blood test done within the next couple weeks and then once the results are in off to Boston to get the results and maybe finally figure out his big picture. Please help our son during this holiday season with a donation which will be used to help Nathaniel in many ways. Thank you again to all those who have supported the Nay Nay fund!!! I am really sorry it has been awhile since I updated you. 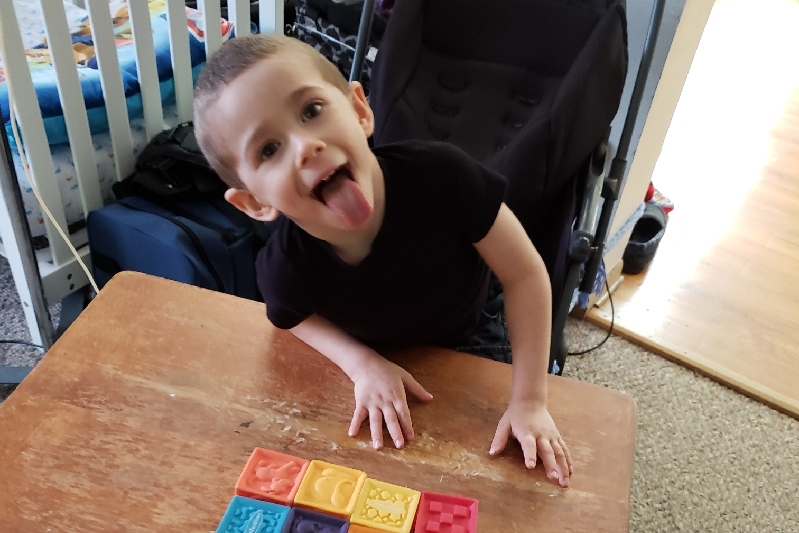 Nathaniel was supposed to go to Boston in January but they decided to change it to early early spring because they want to do a whole exome sequencing genetic test 1st and have the results before we go. Nathaniel has been sick for over two and a half months with respiratory and coughing Nathaniel also had a purple blue episode now he is on an antibiotic for a bad sinus infection and hopefully this antibiotic will clear everything up. 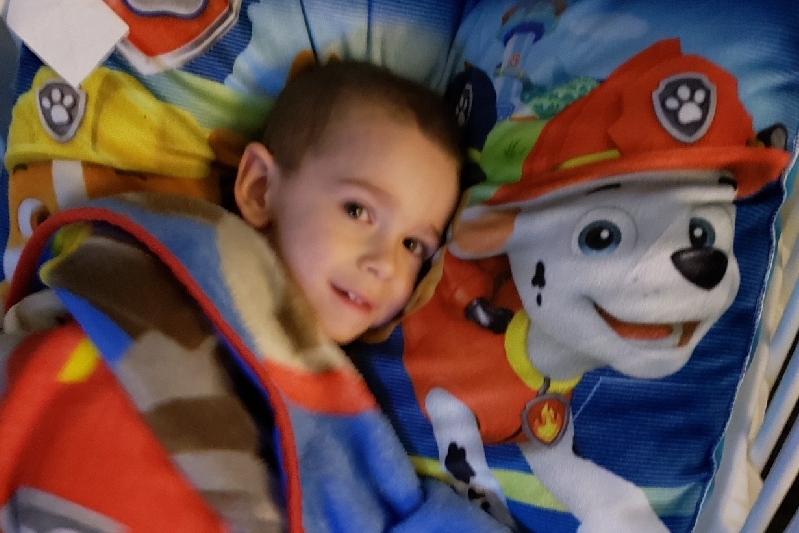 Nathaniel had a sleep study last Thursday and we found out that he has obstructive sleep apnea and Nathaniel will need surgery remove his tonsils and adenoids plus they are going to also fix a deep notch in his Airway. After surgery he needs to be rechecked in 3-6months to make sure the obstruction of sleep apnea is gone. Nathaniel has gotten taller braces which is helping him to walk better and not be on his tiptoes. I'm happy to hear that he's doing better. I was worried about the ear thing. Happy Birthday to Nathaniel tomorrow. I'm praying for a better year for him! Take care of yourselves, I know this must be horribly stressful for you. What a sweetheart. Still praying for him. Glad his surgery went well! Glad to hear it. He's so adorable. I'm so sorry he has to go through this.